Stuart Cordier, clients from Paraguay, ordered 105,000 pieces reflective road studs of NK-1001 on March third, 2015. He thought highly of the reflective road studs of NK-1001 made by NOKIN. He was pleased with the trial and delighted by the results. Stuart said, “The products of NOKIN not only have charming outlook, but bring safety to its users. The reflective stud of NK-1001 makes great improvements on main roads of Paraguay, and it makes the roads much brighter. We will continue working with NOKIN and export more reflective road studs to Paraguay, and brings more light to people live in Paraguay.” The company of Paraguay also thinks that people nowadays advocate more on safety and energy saving, the high performance studs like NO-1001 can meet their needs and give them an ideal solution. NK-1001 reflective stud is made of high quality ABS material, and the reflection of reflective road studs can meet ASTM D4280 and EN 1463-1 standard. It has been shown to enhance safety performance and to have a more sustainable and economical method of delineation during night time or adverse weather. 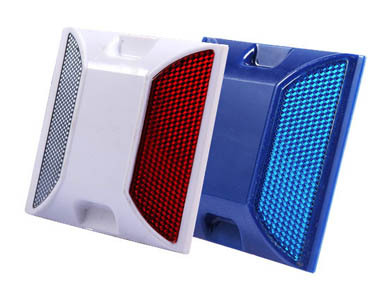 The NK-1001 reflective road stud can be used for all kinds of roads. It has special grain design underside the motorway reflective studs with glue adhesion, which has strong connection with ground, and this design also increase its stability to extend its service life. 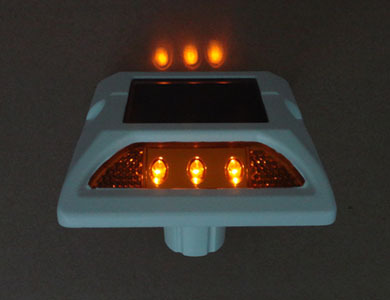 We have worked on the field of roadway safety for more than 15 years, and we have solar road stud, reflective road stud, solar road markers, etc. We always concentrate on the quality of our products. At the same time, we also focus on innovation of new products. The aim of NOKIN is provide the best products and after service to the clients. Our company can provide OEM and ODM services for customers all over the world. NOKIN welcomes all kinds of consultation and feedbacks. Choose NOKIN will be the best choice for you!